When I went to the grocery store yesterday I picked up a new brand of oatmeal [that looked amazingly nummy], a beautiful bunch of bananas (like that alliteration?) and a bag of quakes rice snacks. I’ve fully transitioned into the health-nut phase during this third week of my adventure. I haven’t worked out in a week, due to studies and stresses going on right now – so I’ve had to make my daily caloric intake stricter than usual. I’m still following my WW points, and that alone allows me to lose weight by watching what I eat. Where I wanted to pay more attention to my diet was my breakfast. 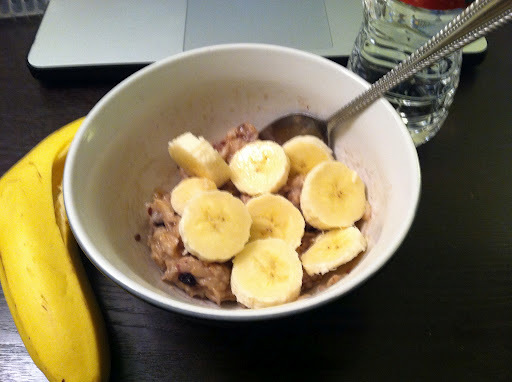 I added a full banana to the oatmeal, add a bottle of water and voilà! It’s a delicious brekky, filling and less than 175 calories! It’s a win-win, friends! What are your favorite oatmeal combos? EDIT: I forgot to mention that there is flax seed in this oatmeal. 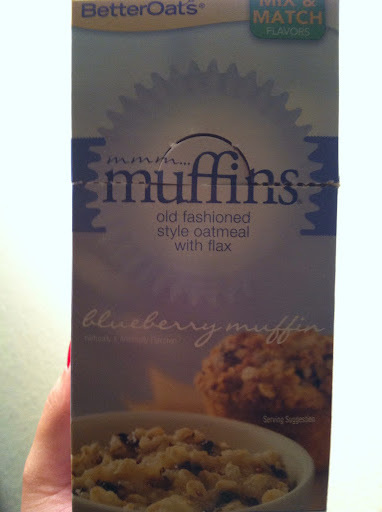 I’d never tried flax seed before and was a bit skeptical. 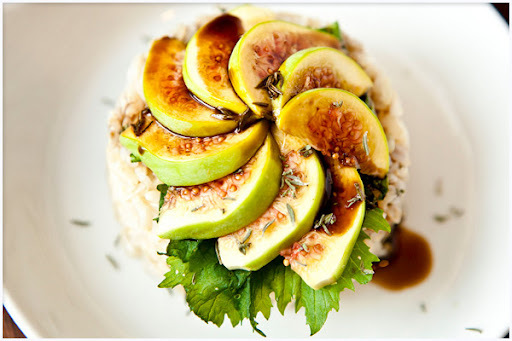 However, the seeds add a bit of crunch to an otherwise [regular-old-oatmeal] plain mush. The flax seed really makes all the difference and I’ll be sure to add it to my own home-style creations for breakfast in the near future! I loved my oatmeal breakfast but was not-so-impressed with my dinner option. Enter: Healthy Choice Honey Balsamic Chicken. The box is out of this world DECEIVING! Honestly, false advertising is the worst! Though low in calories (210 cal) and high in protein (12g) this meal is a bit high in sodium (500mg), no surprise there since it’s a frozen meal. 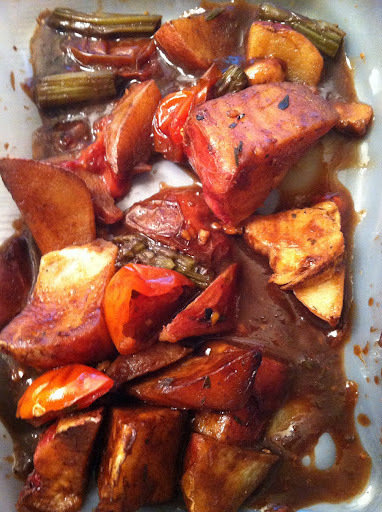 The sauce was salty, which I didn’t care for, and the tomatoes + asparagus – that attracted me to the box in the first place – were wilted and bitter. The potatoes overpowered the entire meal, no doubt to fill the consumer up on starches. My particular portion had less than 1.5 ounces of chicken [oh yes, I weighed it], and the tiny pieces were sprinkled throughout the meal. Now, don’t get me wrong, I have a healthy love of vegetables and fruits…I can’t seem to get enough of them, but this meal was simply awful. Though it didn’t taste like cardboard, it was almost like feeding myself a salt-lick with a side of two-week old veggies. Not okay. What’s appetizing about this? Nothing. Zilch. Niet. Nada. See all the potatoes? Yes, it’s a cheap ingredient, but my plan is to lose weight, not increase my jiggly-ness for the winter hibernation. It most certainly did not rock my socks off. 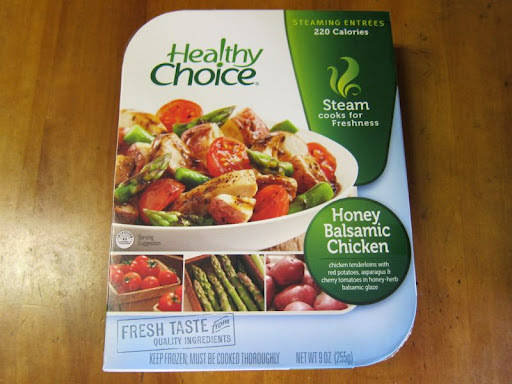 I am willing to give Healthy Choice one more try, as I also purchased the Garlic-Herb Shrimp Steamer Entree. Maybe they can redeem themselves. You see how awesome these can be? Don’t hate. Create! It’s amazing how versatile these are. 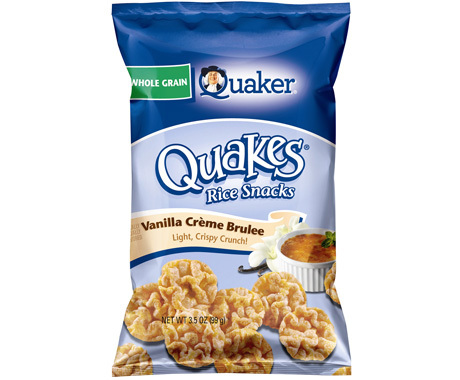 Of course, for those with a sweet tooth and on the run, you can always pick up a bag of Quakes. 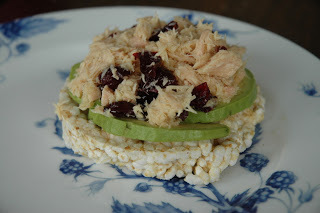 They’re bite-size rice cakes and come in a myriad of flavors. My new personal favorite is the Vanilla Creme Brulee. They’re delectable! One serving size is 13 minis and comes in at 120 calories. I only needed about 5 to feel that I’d met my sweet craving. Be careful though! Portion out a serving size or less…they can be addictive, like chips! It won’t do you any good to gobble up the entire bag. That’s about all the foodie-criticness I have in me today. Tomorrow I’m back at the gym. I’ve got tons of making up to do for skipping in order to study! Angry at myself? YES! However, I’ll be back on the work-out bandwagon soon enough. My legs are itching for a great run! And so few calories! Get in! It was fantastic! 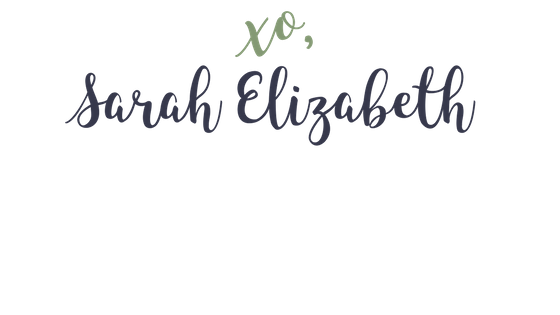 I have a new-found love for nanners, plus…who doesn't <3 great blueberries? I was full well-past noon, so I'm thinking that oats for breakfast is the way to go! Ahhh tie cakes rule. 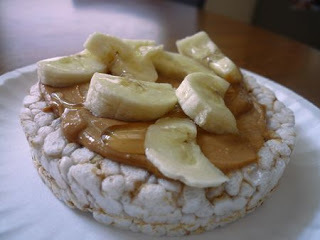 Besides, I love eating a rice cake with nut butter as pre-workout fuel. It's te perfect burst of energy. Oh and that healthy choice is the saddest dinner I bet did see. Looks like poo.